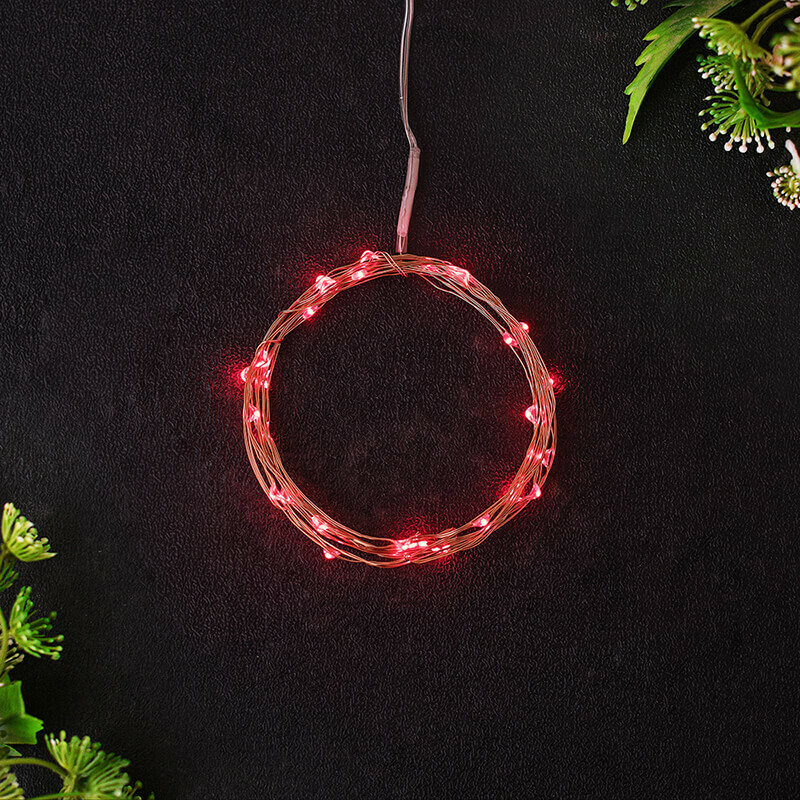 These revolutionary string lights have 30 LEDs (about the size of a grain of rice) on a ultra thin 169 in. bendable waterproof wire (battery pack is not waterproof). Each LED looks like a glimmering water droplet clinging to a shiny silver wire. Included are 2 3V button batteries. 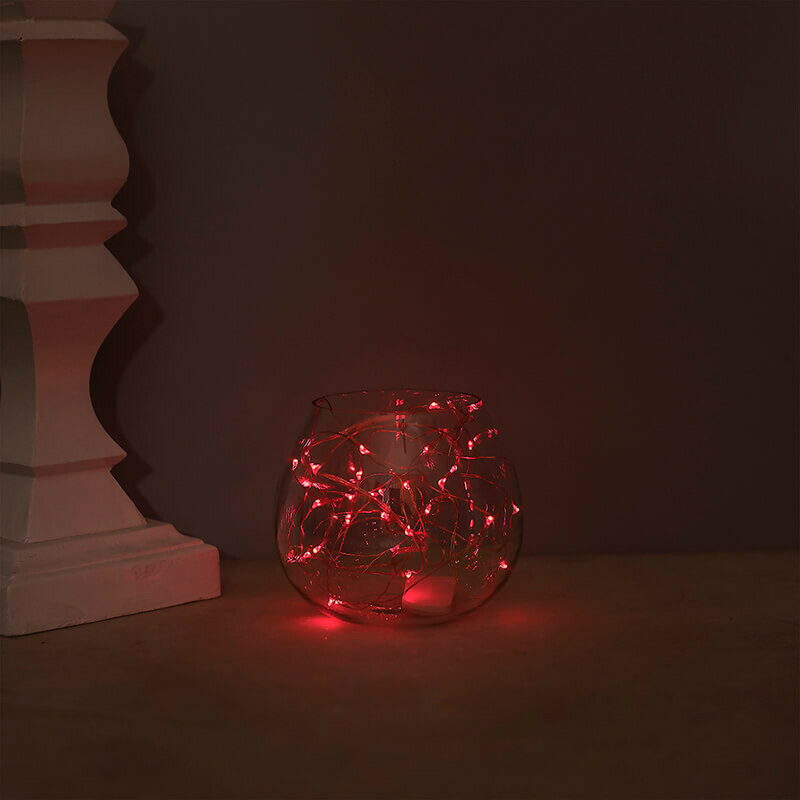 Perfect for wrapping around a vase, centerpiece or flower arrangement.